Our latest log entry is at the bottom of this page. Click HERE or click on the map to see how far we have got. In 2011 we visited the Kimberley region. 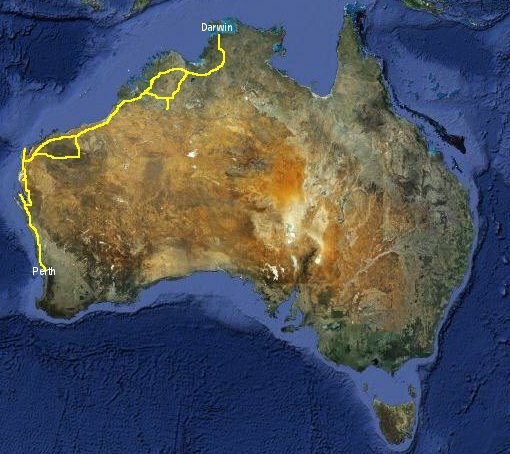 Our journey started in Perth and headed up the west coast and across the top via the Gibb River Road and on to Darwin. We arrived in the Kimberley just after the wet season so the waterfalls were flowing nicely. Some of the roads were still closed but we still got to see plenty and the creeks wern't be too deep to cross. We were camping again on this trip and had good weather most of the time!